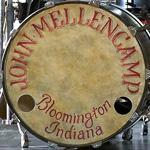 John Mellencamp Community > MELLENCAMP.COM ANNOUNCEMENTS > Announcements & Updates > Pre-Sales Start Tuesday! Be sure to read the newest Mellencamp newsletter! So excited I could hardly sleep last night! Felt like a kid on Christmas Eve!! Do we have a pre-sale code yet?? Is this where the code will post? Any idea when? Tix for my city are supposed to start in 20 minutes! Louisville code? Its 9:58am and NO CODE yet? Whats the freaking deal? Something's not right. I have read the convulted instructions and on the main page there is a presale password. I have refreshed logged in and out and back in and still shows TBA. If I click in the details for the show nothing there either. Maybe they're messing with us & the password is TBA? I cant even access the venue to get tickets! guess too much activity all at the same time. Such a crock.